The picture says it all. 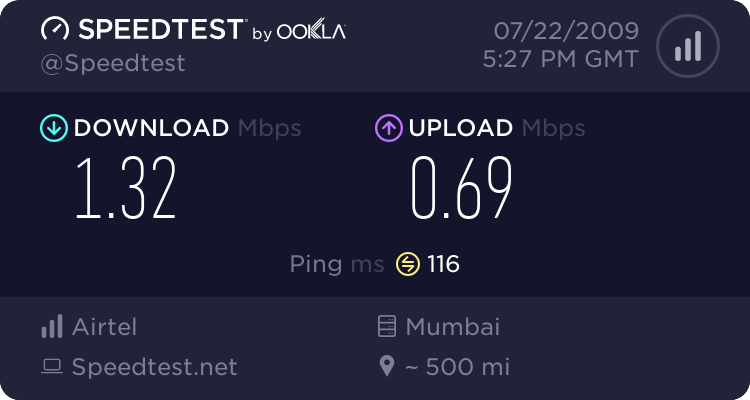 As of now very happy with the speed. Technorati tags: OpenGuru, Broadband, Explore-1099. Thanks for the information.I am using the airtel internet connection.I checked my internet speed in the site www.ip-details.com.But from this article I know about the speedtest.net.Its very useful to check the internet speed.